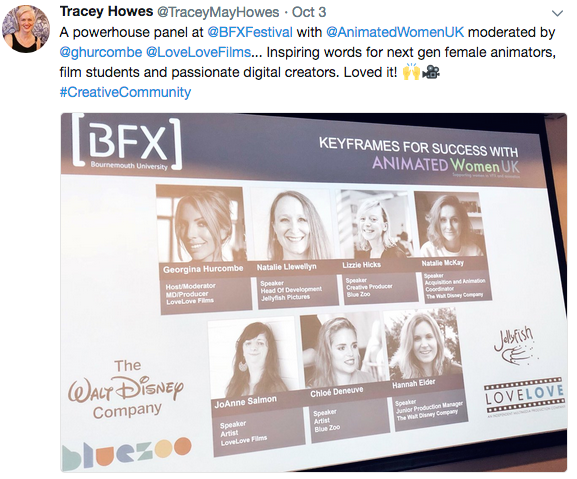 Animated Women UK were delighted to be invited by the BFX Festival to host a panel. 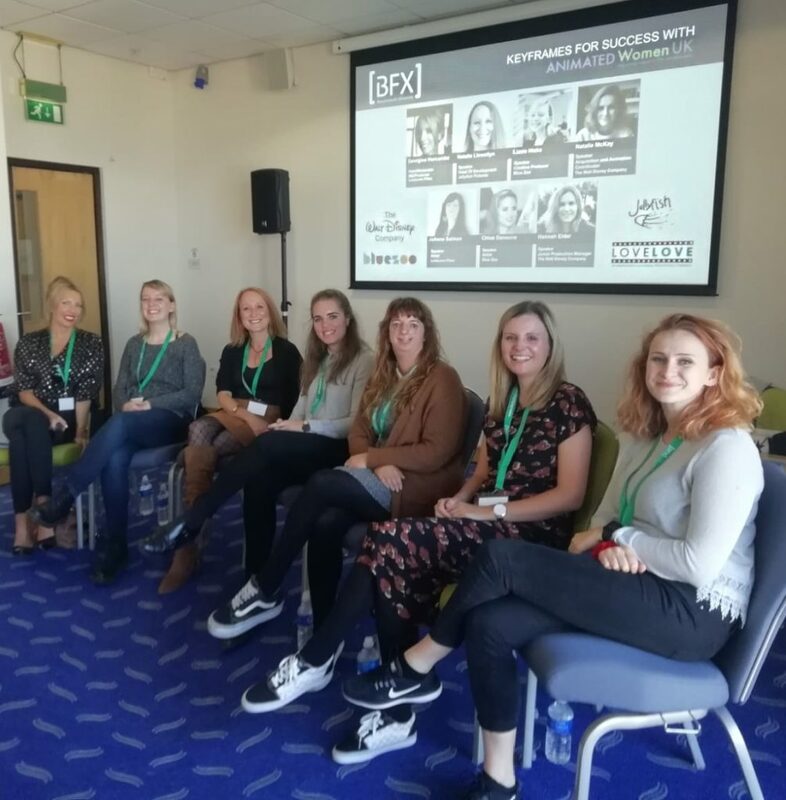 BFX has been held annually by Bournemouth University since 2012 and is the UK’s largest visual effects, computer games and animation festival with innovative techniques and research being showcased to ‘inspire new talent and educate the next generation of practitioners’. 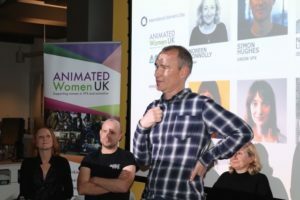 The Animated Women UK panel hosted leading women from the animation and VFX industries and aimed to provide tips on how to navigate the often complex waters through personal anecdotes of how they got to where they are today and a question and answer session where they shared their views on gender in the industry today, the progress that has been made throughout their careers and their top tips on getting into animation. LoveLove Films’ Managing Director / Producer Georgina Hurcombe organised and hosted the panel bringing together Natalie Llewellyn, Head of Development at Jellyfish Pictures; Lizzie Hicks, creative producer at Blue Zoo; Chloé Deneuve, artist at Blue Zoo; Hannah Elder, Junior Production Manager at the Walt Disney Company; and Natalie McKay, Acquisition and Animation Coordinator at the Walt Disney Company. Sharing their insights next to Bournemouth’s beautiful beaches, the overall outlook of the interview was very optimistic. 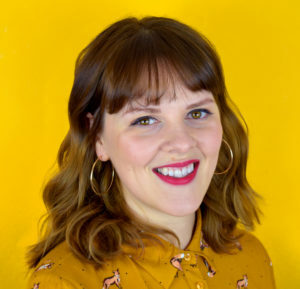 Natalie Llewellyn is a development executive at Jellyfish Pictures tasked with growing a development slate of original content primarily aimed at the kids’ market. 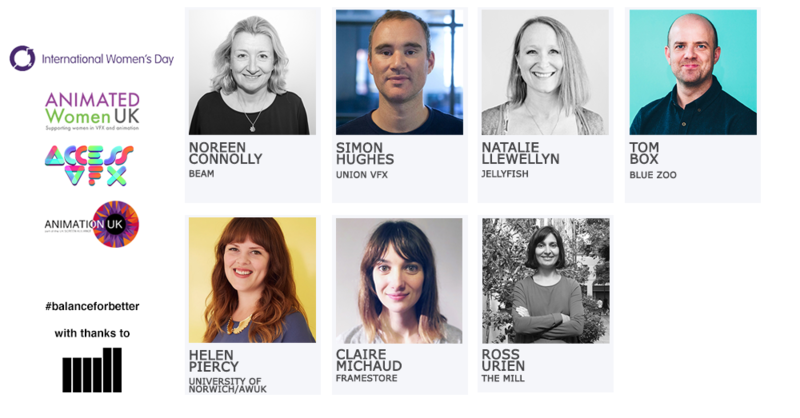 Natalie has over 20 years of experience in roles including Head of Global strategy at kids’ production company Platinum Films and assistant producer on CBeebies’ Everything’s Rosie at V&S Entertainment. 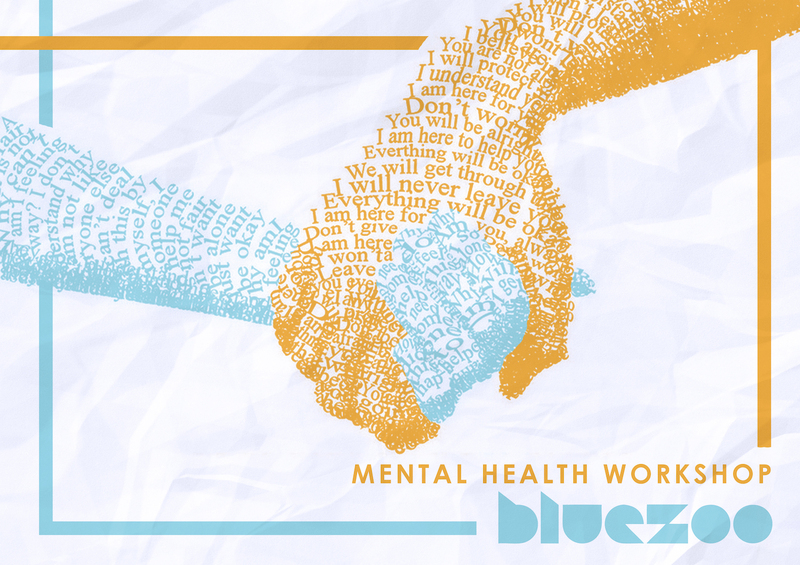 Lizzie Hicks is a Creative Producer at Blue Zoo – a role she earned by doing a placement and working her way up through junior animator, animation director and project manager. Chloé Deneuve is a character animator at Blue Zoo. She studied animation in France before moving back to the UK with one goal in mind: to work at Blue Zoo, which she achieved. JoAnne Salmon is an animator at LoveLove Films. JoAnne’s first director’s role at LoveLove Films allowed her to tell the story of her journey since graduation – Chin Up, an animated documentary was funded by MoFilm. Hannah Elder is a junior production manager at the Disney Company. She’s often referred to as a ‘puppy wrangler’ due to her current project – 101 Dalmatian Street, based on the novels and original Disney films. Following a TV Degree at Bournemouth University, Hannah did an internship at the Disney Company, before a move to HIT Entertainment followed by a return to Disney to work on 101 Dalmatian Street. Natalie McKay is an Acquisitions and animation coordinator at the Disney Company who also did an internship with the Walt Disney company. Natalie started out at Woodcut Media working in factual a couple of days a week before finishing her TV Degree at Bournemouth University and returning to work with Disney. 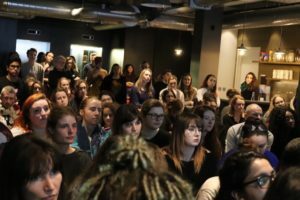 After the introductions, Georgina Hurcombe led the panel through a series of questions to provide an insight for audience members in how to get their first jobs and navigating their way through the complex media and animation industries. WHAT CHANGE HAVE YOU SEEN DURING YOUR TIME IN THE INDUSTRY? When asked what had changed in the industry during their time in it, Chloe Deneuve stated that there are already more female role models who she can look up to, and through the Helen North Achieve Programme run by AWUK, she has met with many women who can inspire her. Georgina Hurcombe noted that companies are seeing the importance of female voices and are taking the opportunity to celebrate them. 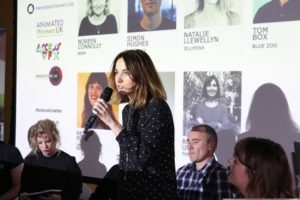 Natalie Llewellyn observed that thanks to there being more non-gender-specific activities for young people to be creative and an encouragement of creative activities, there is less inequality for those coming into the industry now. JoAnne noticed that there was a great spirit at female-focused events of supporting each other and celebrating each other’s achievements. Natalie McKay has found seeing women in a range of different roles at Disney, including management ones, very inspiring for her. Not having a clear direction following education was a common theme. Chloe highlighted her difficulty in getting companies to see her in person, rather than just through emails. To combat this she stayed with a friend in Paris for a week and told companies that she was there for just a few days and keen to meet them – this got the companies’ attention, and got Chloe into actual meetings with the companies. Natalie studied at a time when there were no media degrees available, but she knew she loved stories and wanted fiercely to move into that kind of space. Natalie did a number of internships for different companies and proved her passion and interest to them. Lizzie suffered from imposter syndrome – a feeling that you’re not as good as other people are at work – which two-thirds of women suffer from in the UK (Forbes, 2018). Lizzie felt as though someone would “find her out”, but knowing that she deserved her place at Blue Zoo was a big step for her. WHAT MATERIALS DO YOU THINK YOUNG PEOPLE NEED TO SHOWCASE WHEN LOOKING FOR A JOB? Answers for this varied depending on the roles, with Natalie McKay and Hannah Elder highlighting the importance of good, natural emails and following up after a conversation. Natalie said that she sometimes spends hours on an email, because that becomes the first impression when it lands in an inbox, so each one should count for something. 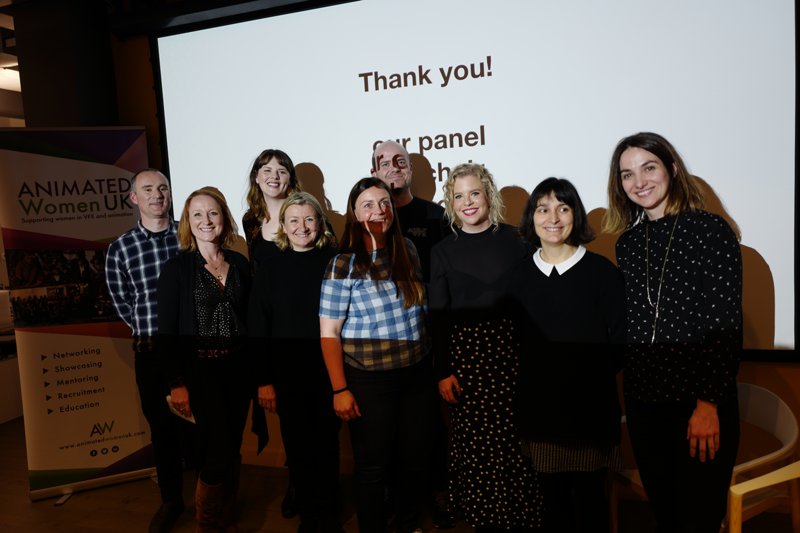 All of the panel stressed that research is key – know the company you are emailing or sending a showreel to and tailor everything specifically to them. Lizzie Hicks said that she looks at a showreel straight away, so students should put their best work first, not spend loads of time animating their name at the beginning and showing story based work rather than just animation exercises. Georgina told the story of one of her staff members, Joe, who put together an animated cover letter when applying for his job. He then went on to do a placement at LoveLove Films, and a permanent role was created specifically for him because of his hard work and eagerness to learn. WHAT CAN INTERNS OR PLACEMENT STUDENTS DO TO STAND OUT? Much of the advice for interns was similar from all of the women on the panel: be friendly, know what you want to get out of the experience and don’t be afraid to ask questions. Natalie noted that a can-do attitude and passion are key and that doing something that you love can be a springboard for a great future. Chloe and Hannah said that writing things down impresses them and is something they did themselves to keep track of everything they were learning. Natalie added that knowing what you’re good at, and how you want interviewers or employers to remember you is great for interns. WHAT ARE YOUR TIPS ON GETTING INTO THE INDUSTRY? Chloe said that networking – not just inside the industry – was super important for her. Chloe also highlighted the importance of listening – really listening – to what people are telling you, and showing an interest. Georgina discussed the value of networking, going to film festivals in the industry that you are interested in and taking volunteering opportunities such as the CMC volunteering if possible. Branching outside of film festivals to other types of festivals is also useful as you never know who you will meet. 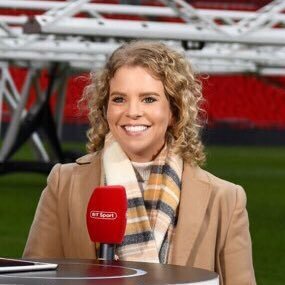 Georgina mentioned one of her favourite mottos – “if you don’t ask, you don’t get”, stressing the importance of seeking out opportunities in the industry. The panel also took questions from the audience. 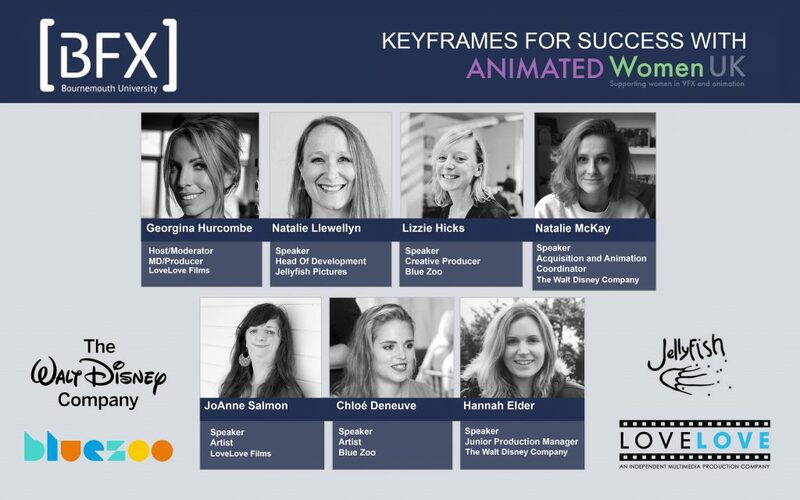 The overall message from the panel was very positive, discussing the new opportunities available for women, and how inspiring it is to see women in a range of roles in Animation and VFX. One audience member stated “Inspiring words for next gen female animators, film students and passionate digital creators. (@TraceyMayHowes). Before the panel, the women were interviewed for 3D Artist Magazine, by journalist Bradley Thorne. Look out for the article in an upcoming issue. 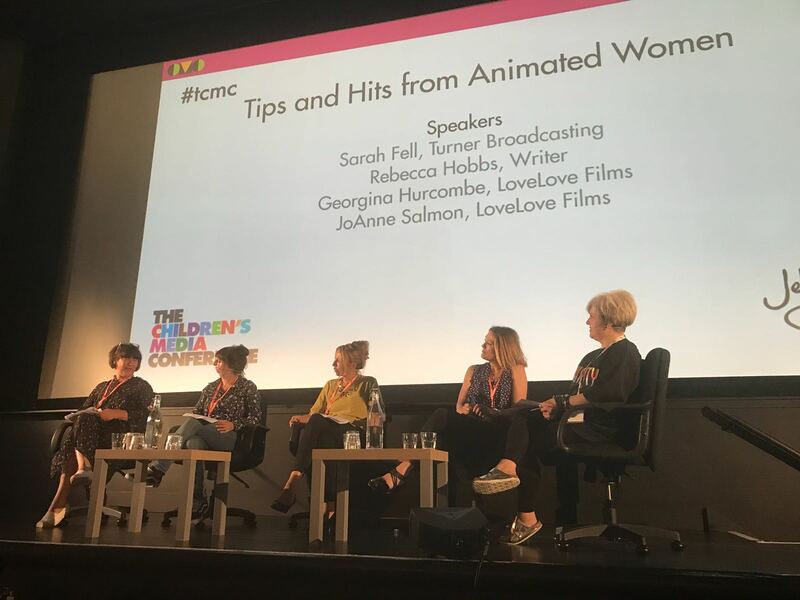 The CMC panel TIPS AND HITS FROM ANIMATED WOMEN was set up to tackle the fact that gender parity in the entertainment industry is far from a given. Examples such as the recent report on the gender pay gap, and the #MeToo movement, have made that very clear. But instead of pointing fingers, our aim was to address bad practice by demonstrating good practice. 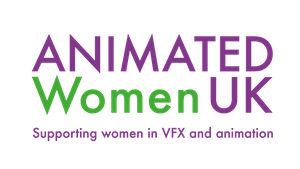 We wanted to celebrate the many women who have succeeded in the animation business, by getting them to describe their journeys and talk about obstacles that may have had to overcome. Positivity was key. The session was kicked off with a short speech by Changemaker Anna Hollinrake, a games artist just starting out in the business. 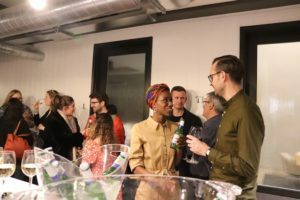 Anna was keen to stress the importance of balance and self-care, in an industry that can sometimes entail long and stressful hours and not a whole heap of gratitude. It was therefore important for the rest of the session to show positive examples of how we can look after ourselves by celebrating our achievements and successes and in doing so address questions about equality and confidence. Sarah Fell, Executive Producer at Turner Broadcasting talked about her journey from art school into production. Sarah achieves balance by allowing herself to be inspired by others, while maintaining her own creative vision. Sarah was asked whether she thought animation is a level playing field. She admitted that in the early days of her career, the industry was heavily weighted towards men, but over time, Sarah has been able to champion more and more women in the business and can easily claim gender parity on the shows she produces now, such as THE AMAZING WORLD OF GUMBALL. Rebecca Hobbs embarked on a successful screenwriting career via a law degree and a short stint in acting. Her most recent credit is as Head Writer on SADIE SPARKS, a co-production between Brown Bag Films, Cybergroup Studios and Disney EMEA. Rebecca spoke a lot about taking risks and about how fear was sometimes a good motivator! She was also asked about mentors and she was keen to stress importance of finding someone to trust – sometimes we all need the reassurance from someone with experience, that the risks we’re taking are worth taking. Her most poignant piece of advice was some she has once been given – not to climb a ladder too far, only to find it was leaning against the wrong wall. Up next was Georgina Hurcombe, Producer and Managing Director at LoveLove Films. 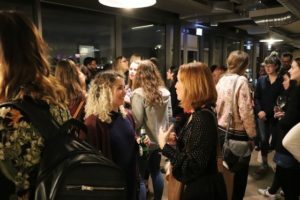 Georgina was a participant in this year’s Helen North Achieve Programme and talked about the importance of organisations such as Animation Women UK for both networking and support. We know that centuries of conditioning mean we may not change things overnight, but channeling positive examples of where it does work, goes a long way to help nudge progress in the right direction. Finally, and also from LoveLove Films, was JoAnne Salmon, who as an animator has seen more and more women come through the technical side of the business. She cited the importance of building confidence in those trying to break into the industry, as well as the importance of the role the rest of us play in being role models to those still in the early stages of their careers. 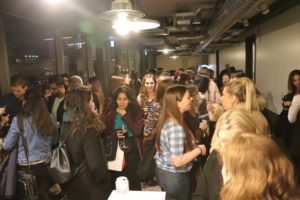 Building confidence was high on the agenda; so many of us still feel the ‘imposter syndrome’ and battle against the stereotypical idea that women do best in more nurturing, production management roles rather than the more ‘creative’ and ‘technical’ roles. So, we need more role models to speak up, while we also need to rediscover women whom history has over-looked. We also need to remember that we make content for a global and diverse audience; both our content and those making it need to be just a global and diverse if we are to paint a true picture of the world we live in to our children. And speaking of children, the one and only question we had time for from the floor, came from a man, who inevitably asked the ‘how-do-we-deal-with-women-going-off-to-have-babies’ question. I threw this back, to a round of applause, as I truly feel it’s time we stopped making this a women-only issue, it’s an issue for parents, whatever gender. First of all, we shouldn’t assume all women want, or can, have children. It is not a question we ever ask men. 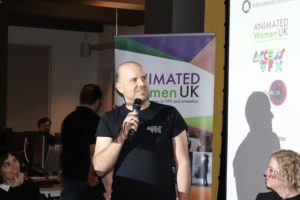 Secondly, as technology now enables us all to work flexibly, this is a conversation men should be having amongst themselves too – it should not be up to us to tell them what equality looks like all the time. Overall it was a session full of energy and it remained thoroughly positive throughout. 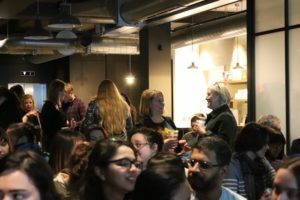 Although the number of women in the industry has increased significantly over the last few years, we still need to support and champion and celebrate one another, as we do deserve to be here!